The Curtain Boutique is proud to be the recipient of the BizSafe Star award presented by the Work Safety Council. This award aims to recognize retailers’ commitment and improvements in making workplaces safer and healthier. The Curtain Boutique makes sure our team works together safely and is committed to create positive social and environmental change to not just our work place but wherever we operate. At The Curtain Boutique, we strive to offer our customers superior value by providing them high-quality, reliable and cost-effective products and services. This philosophy shows in our value added services – non-obligatory advice and consultation. Therefore, we pride ourselves in being a CaseTrust accredited business. We will continue to show consumers that our business is committed towards maintaining a high level of good business practice, fair trading and transparency. At The Curtain Boutique, we aim to deliver quality products and services, and customer service. We are proud to say our passion and dedication to beautifying homes has won us Top 25 Prestige Award 2014 and it will further push us to higher levels and greater success. Experience our award-winning products and services in your homes or office in building your confidence to beautifying your home with us. At The Curtain Boutique, besides putting in the constant effort to make sure we deliver quality products, we also emphasize on service quality. We are proud that our continuous effort has led us to achieve the ISO 9001:2015 award by UKAS, the United Kingdom National Accreditation Body. Our quality management principles will help guarantee customer satisfaction. The Curtain Boutique is proud to have won the TOP 25 Prestige Award 2014 for demonstrating exemplary brand values and a high standard of business excellence. We are have also been voted as Toggle’s Top 10 SME of 2016. The Curtain Boutique has been awarded the CaseTrust award for our commitment to maintaining a high-level of good business and customer practice. 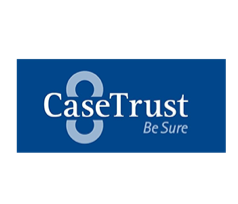 Since April 1999, CaseTrust has become the industry standard for quality business and customer practices in different commercial industries, ranging from employment agencies to retailers. CaseTrust has inadvertently become a mark of assurance for all consumers – The Key to Consumer Confidence.